Read the latest and most important Michigan legal news by our top rated Michigan motorcycle accident lawyers. News items include the most recent and highest settlements in motorcycle accident lawsuits throughout Michigan. Other legal news includes information on newsworthy accidents throughout Michigan and legal updates on the most current motorcycle accident cases in the news. To have one of our award winning, top rated lawyers represent you in your case, call us now at (800) 606-1717 for a free, no obligation consultation. We do not charge any legal fees unless we are able to recover a settlement for you! There is nothing to lose, so call our award winning Michigan motorcycle accident attorneys today! 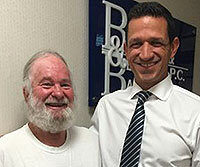 Michigan Confederation of Clubs Honors Motorcycle Accident Lawyer Buckfire Law motorcycle accident lawyer Dondi Vesprini was recognized by the Michigan Confederation of Clubs for his exceptional work done on behalf of the MCOC. Motorcyclists Download Free Motorcycle Helmet Laws App Motorcyclists from around the world are downloading the Motorcycle Helmet Laws App created by the motorcycle accident attorneys at Buckfire & Buckfire. Motorcycle Injury Lawyer Meets With Legislators On Issues Affecting Injured Motorcyclists Buckfire & Buckfire, P.C. attorney, Dondi Vesprini, is an experienced attorney in the area of motorcycle accidents; however his advocacy extends beyond the court room as well, meeting frequently with both legislators and lobbyists regarding legislation affecting injured motorcyclists. Free Motorcycle Helmet Laws App Aids Bikers on Road Trips The Helmet Laws App, Created by Buckfire & Buckfire, P.C., Motorcycle Accident Attorneys, Allows Riders To Access Important Helmet Law Information for Bike Trips Across U.S., Canada, Europe and Australia. Medical Benefits On Michigan Motorcycle Insurance Policy (800) 606-1717 Top bike accident injury lawyer in Michigan discusses the importance of medical benefits on motorcycle insurance policy. No Fee Promise attorneys! Washtenaw County Liable For Motorcyclist Injured In Bike Accident Caused By Pothole (800) 606-1717 Motorcycle accident lawyer discusses current court case on injuries in a bike accident caused by pothole. Call now! Michigan Motorcycle Accident Settlement For Brain Injury A Michigan motorcycle accident lawsuit settled for $1.8 million. The biker suffered brain injuries due to the accident. 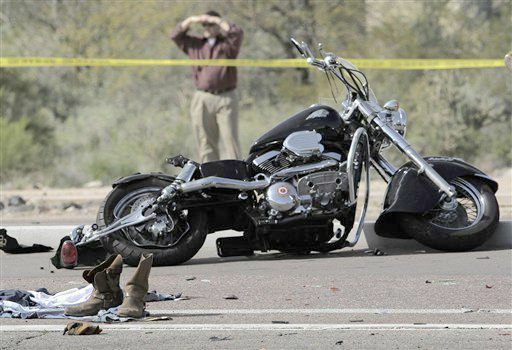 Contact our Michigan motorcycle accident lawyers, if you or a loved one have been injured in a motorcycle accident. Michigan has strict statute of limitations for filing a claim, so you should contact a lawyer immediately so that your case is not barred forever. Motorcycle Accident Passenger Settlement Motorcycle passenger gets settlement for injuries suffered in a Michigan motorcycle accident. Allegan County Motorycle Accident Verdict An Allegan County motorcycle accident results in a $72,000 verdict for the injured biker.